Please note that all notary services are provided BY APPOINTMENT ONLY at our Springwood Office. 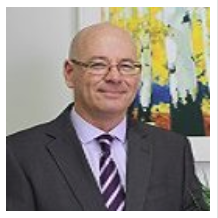 Randal Binnie, a partner in the firm, is a Queensland Notary Public having been appointed by the Archbishop of Canterbury in 2007. Randal has served as a committee member and Vice President of The Society of Notaries of Queensland Inc. Randal has been elected as President of the Society for 2018 and 2019. The Notary Public is a trusted position whose Notarial acts are recognised in legal systems world wide. then most likely you need a Notary Public. You may need obtain an Apostille or Authentication which are affixed by the Department of Foreign Affairs and Trade. The Department charges fees based upon each document at $83 (this usually increases slightly each year). Randal can reduce the costs you will incur in obtaining an Apostille or Authentication some circumstances. Randal can advise you about Apostilles and Authentications at the time of your appointment. You can upload a copy of your documents during the online appointment process to obtain a quote for the necessary services. Alternatively, email your query regarding the notarial services you require. The Notary can provide you with advice at the time of your appointment whether you will need an Apostille or an Authentication which are issued by the Department of Foreign Affairs and Trade (DFAT) but you need to ascertain the requirements of the country in which the documents are going to be used. A definition: “…. a notary is a practising lawyer who holds a unique public office of trust and fidelity, and who, among other things, has the internationally recognised power and authority to prepare certificates of Australian law, and deeds and other instruments of all kinds, authenticated by his or her signature and official seal in a manner which renders them acceptable to the judicial or other public authorities in the countries in which they are produced.” p37 Principles of Notarial Practice, Peter Zablud, Notary Public 2005 – Psophidian Press. Our Notary Services are provided at our Springwood office. The fees charges are reasonable and your documents can be dealt with at the time of your appointment. You can seek a quote of the expected fees before or at the time of your appointment. You will need to attend our offices personally where your identity needs to be established e.g. where you are signing documents in the presence of the Notary, so don’t forget to bring your identification with you of at least your passport and driver’s licence.